A rich and inviting cream, it offers immediate comfort to even the driest and most dehydrated hands, protecting them from external aggressions and aging. Argan oil and Argan butter release all their anti-oxidant, nourishing, regenerating and moisturizing power. 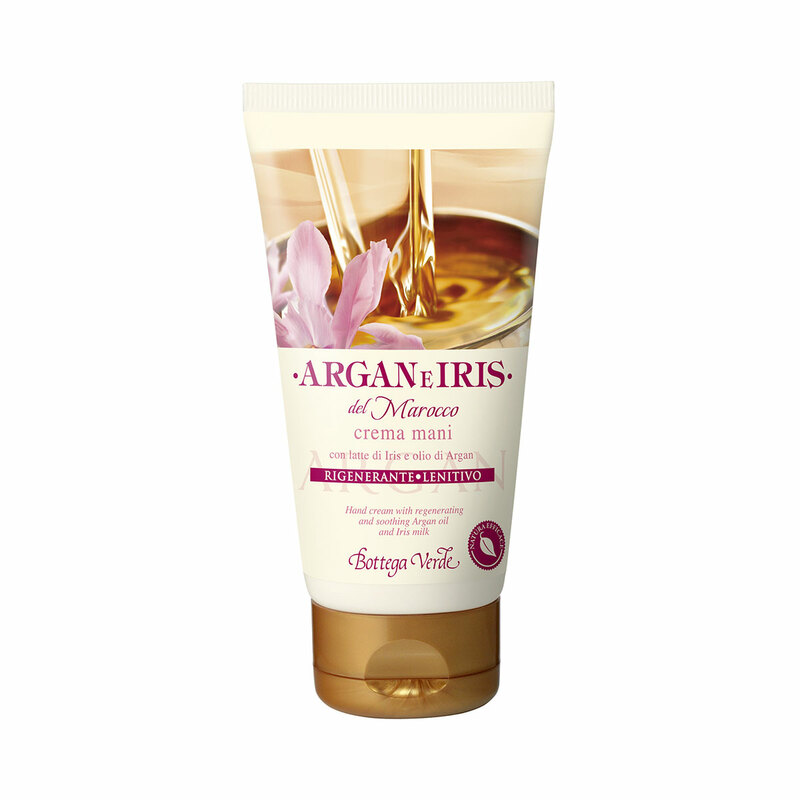 Gentle and soothing Iris milk helps relieve stressed skin. Hands are softer and deliciously scented after the first application. A rich and inviting cream, it offers immediate comfort to even the driest and most dehydrated hands, protecting them from external aggressions and aging. Scent:Notes of citrus (mandarin, orange), fruit (plum, coconut, peach, apricot), oriental spices (jasmine, ylang ylang, rose, heliotrope), spicy inklings (pink berries), wood (sandalwood), cream and musk. Characteristic:cream enriched with argan oil, argan butter, olive butter, organic grape sugars and iris extract.